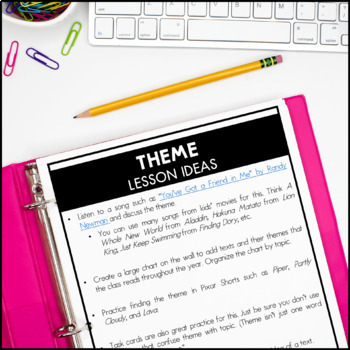 Teach your students how to determine and paraphrase theme/message and supporting details of a text. 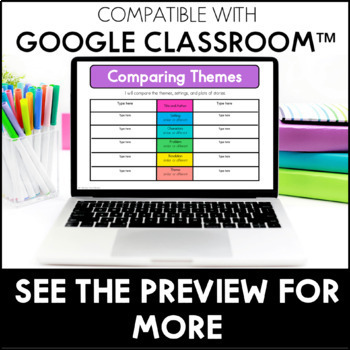 Compare themes, settings, and plots of texts. 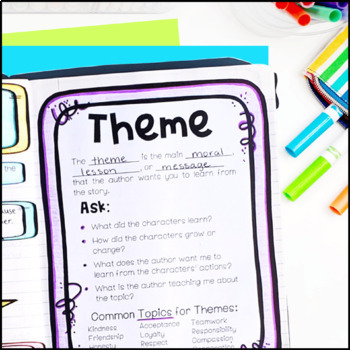 These interactive reading notebook pages are a great tool for introducing the skill and reinforcing the lessons that you teach during reading workshop. 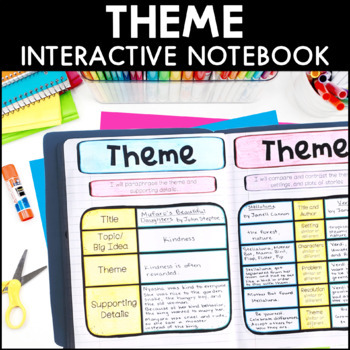 These interactive notebook pages for theme are included in my INTERACTIVE READING NOTEBOOK. Please check to see that you do not already own this prior to buying. ** This set includes two different versions to accommodate both TEKS standards and Common Core standards.